More often than not, babies are delivered successfully. However, with the complexity of the birthing process and the extremely fragile physical state of newborns, it is not surprising that things can, and do, go wrong. When complications arise during delivery, it is incumbent upon obstetricians and other medical professionals to immediately and appropriately respond. Failure to do so can result in devastating results for the child and/or the mother. When medical negligence contributes to birth injuries, such as facial paralysis, brachial plexus injuries, fractures, hemorrhage, or perinatal asphyxia, those responsible can be held liable through medical malpractice litigation. At Fronzuto Law Group, our team of highly acclaimed New Jersey birth injury lawyers has achieved millions of dollars in verdicts and settlements on behalf of victims who have suffered harm as a result of delivery errors and other forms of medical negligence during childbirth. We understand the far-reaching consequences of birth injuries and we vigorously pursue maximum compensation for medical expenses, rehabilitative treatment, future care, and pain and suffering. To discuss your child’s birth injury and find the answers you need at this critical time, contact our Passaic County offices at 973-435-4551 or complete our online contact form. One of our knowledgeable attorneys will be happy to assist you and we provide initial consultations free of charge. Birth injuries can vary significantly. They can affect different organs and body parts and range in severity from relatively minor to extremely severe. Some birth injuries resolve themselves in the days or weeks following birth, but others can result in long-term consequences and even permanent disability. With the myriad of technological advances that have occurred in medicine in recent decades, doctors have the ability to monitor, detect, and respond to a host potential birth complications. When they fail to do so, or do so incorrectly, this is considered a violation of the standard of care and may provide grounds for a birth injury lawsuit. The following are some of the most common types of birth injuries. Brachial plexus injuries can result in a variety of complications and conditions, some of which include: Erb’s Palsy, neurological impairments, functional disabilities, and even paralysis. Perinatal Asphyxia occurs when there is some form of injury to the infant which results in insufficient oxygen being delivered to the brain. This can arise from inadequate blood flow or too little oxygen in the blood. Fetal infection, certain medications, pressure on the umbilical cord, a blood clot in a vessel of the umbilical cord, and blood loss are some of the potential causes of perinatal asphyxia. The consequences of perinatal asphyxia can be severe, including: shock, lethargy, seizures, coma, kidney problems, and difficulty breathing. Neurological damage is a common result of asphyxia and may range from developmental delays to Cerebral Palsy. In the most tragic of cases, perinatal asphyxia can lead to death. Hemorrhage is a term used to describe bleeding. When bleeding occurs in the brain as a result of a ruptured blood vessel in the skull, this is known as an intracranial hemorrhage. There are different types of intracranial hemorrhages. Subarachnoid hemorrhages occur below the innermost membrane of the brain and these are the most common type. Subdural hemorrhages occur between the outer and inner membranes and are less common. Hemorrhages typically occur when there is excessive pressure on the skull during delivery. This adverse events may result in severe brain injuries and brain damage. Facial paralysis is a birth injury that involves damage to the nerves of the face. This can occur when there is excessive pressure on the facial nerves during an assisted delivery involving the use of forceps, or when the fetus is in a position in the womb that places pressure on one side of the face as it pushes against the mother’s pelvis. Facial nerve damage may be apparent when a baby cries or may present as an asymmetrical face. In the most severe cases, facial nerve damage can result in complete paralysis on one side of the face. 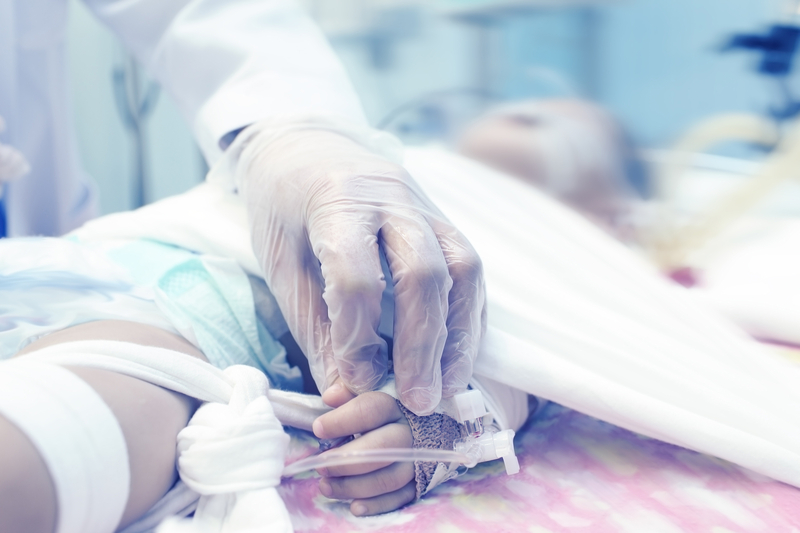 If you believe medical negligence contributed to your child’s birth injury, contact the highly knowledgeable medical malpractice attorneys at Fronzuto Law Group to learn more about the legal options that may be available to you. Simply call 973-435-4551 or toll free at 888-409-0816 to receive your cost-free initial consultation.